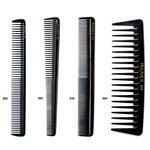 Crafted from hard rubber with Fexinite Technology, these amazing combs are sensitive to changing temperatures. Each of the smooth, perfectly rounded teeth mimics hair and expands when treated with heat during styling. 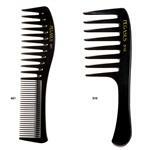 To give a smoother, damage free comb through! A must for your Tool Box!